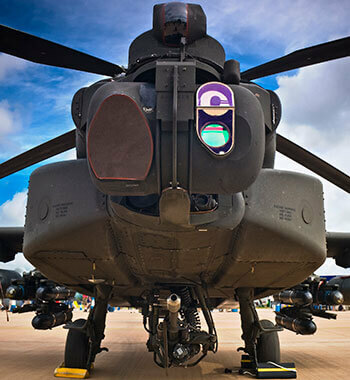 DRS Daylight Solutions’ high-power, multi-color laser systems provide best-in-class performance for military applications. 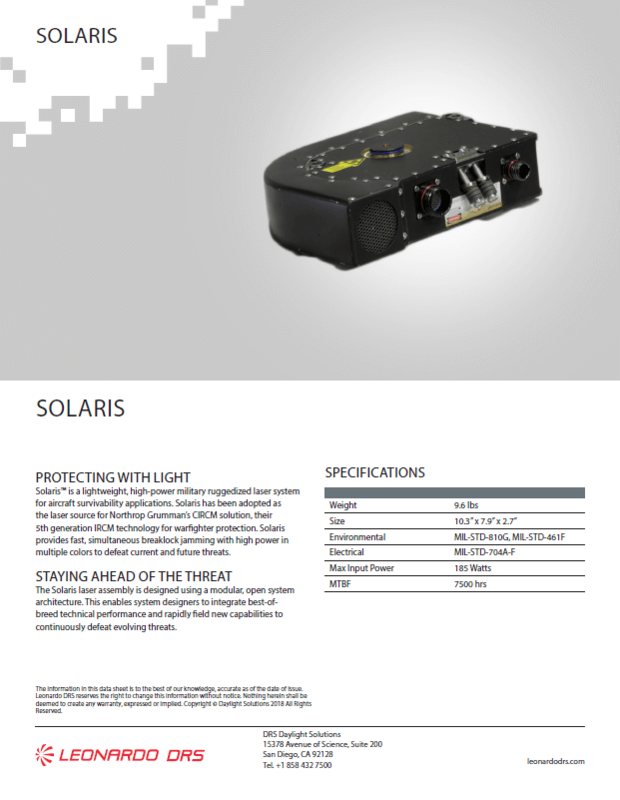 Based on our ground-breaking quantum cascade laser technology, these high-power laser systems represent the best choice in aircraft survivability equipment, covering the VIS, NIR, SWIR, MWIR, and LWIR bands. 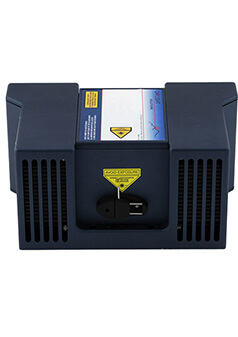 High-power laser systems from DRS Daylight Solutions allow user-specified combinations of wavelength and power, so you can adjust them to your specific requirements. A modular design lets you mix and match wavelengths and optical powers from a single product line. 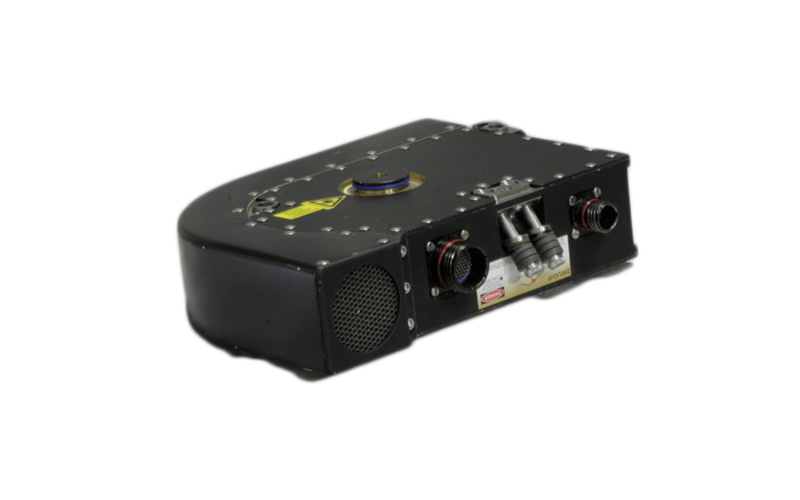 These high-power laser systems are ruggedized to military standards, having logged over 10,000 hours of environmental testing and end-to-end testing to ensure long-term reliability. Our military-grade, high-power laser systems have logged over 10,000 hours of testing. 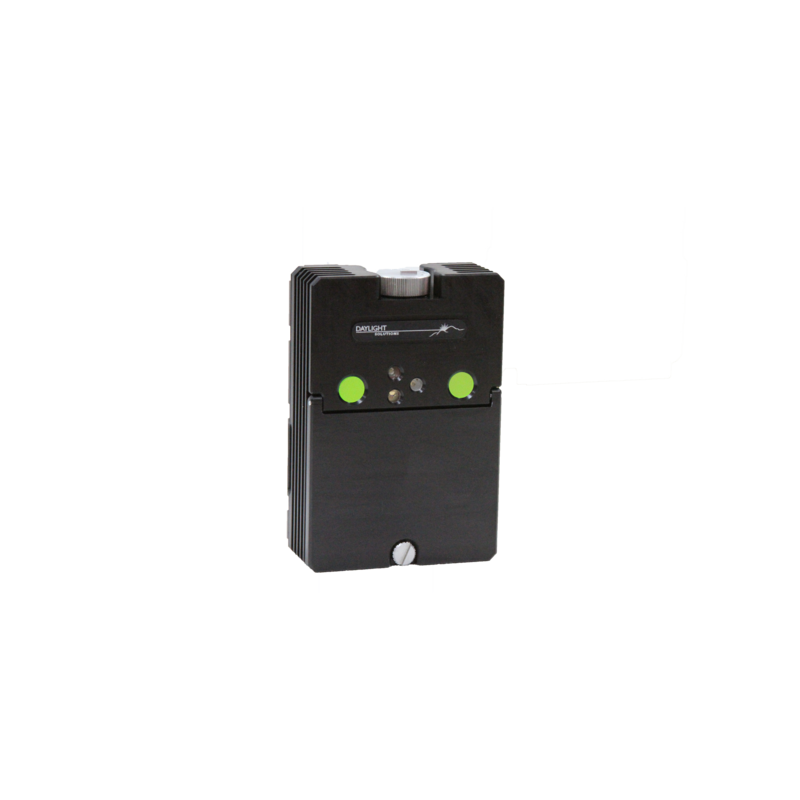 It will only take a few minutes on the phone for us to determine which one is best for your application. Contact us today.